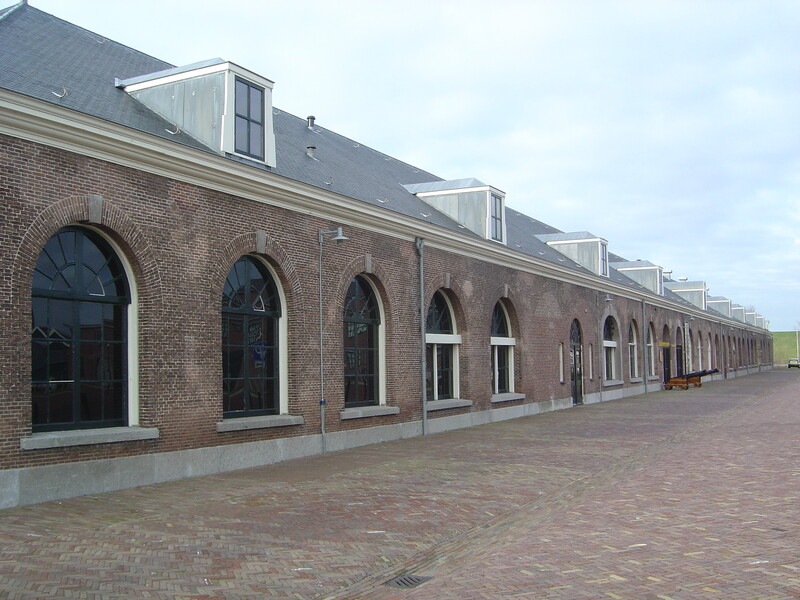 Den Helder is close to Texel Island and anchorage in the Netherlands. The naval base began in the C18 and was enlarged by Napoleon in 1811. 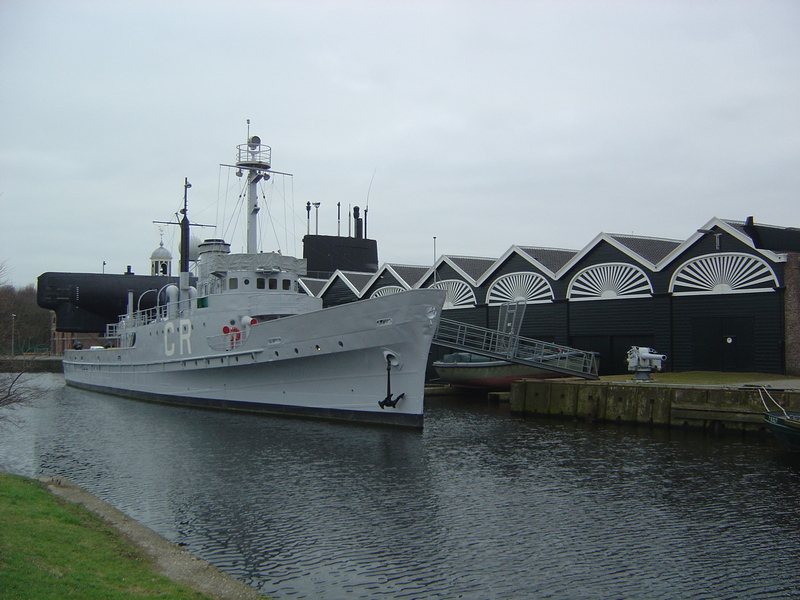 The historic dockyard of Willemsoord includes a maritime museum, the submarine HNLMS Tonijn (tunnyfish) (1960), minesweeper Abraham Crijnssen (1936) and ram ship Scorpioen (1868). The museum plans to expand its cultural connections with the town by 2020. The photographs were taken by David Davies in January 2008. Preserved minesweeper HNLMS Abraham Crijnssen (1936), which saw war service in the East Indies. Image by J. D. Davies. 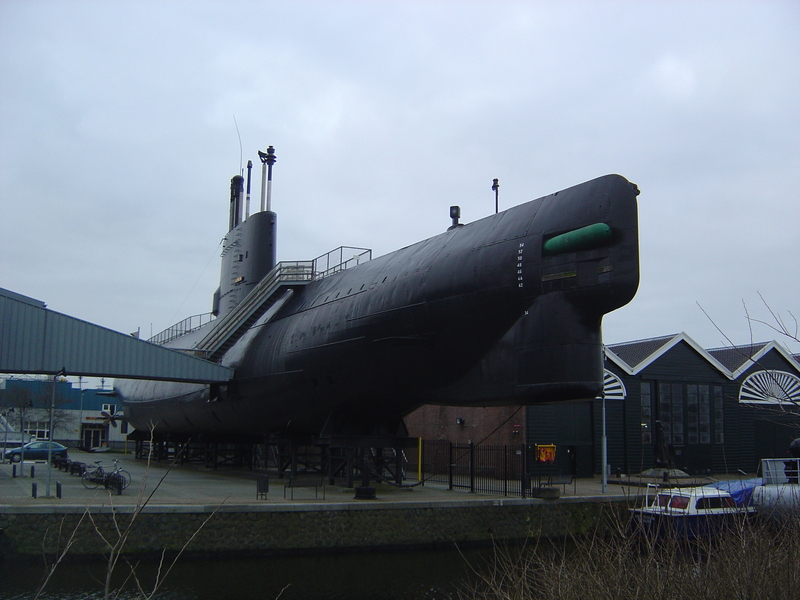 Preserved submarine HNLMS Tonijn (1960). Image by J. D. Davies. Den Helder. Image by J. D. Davies. 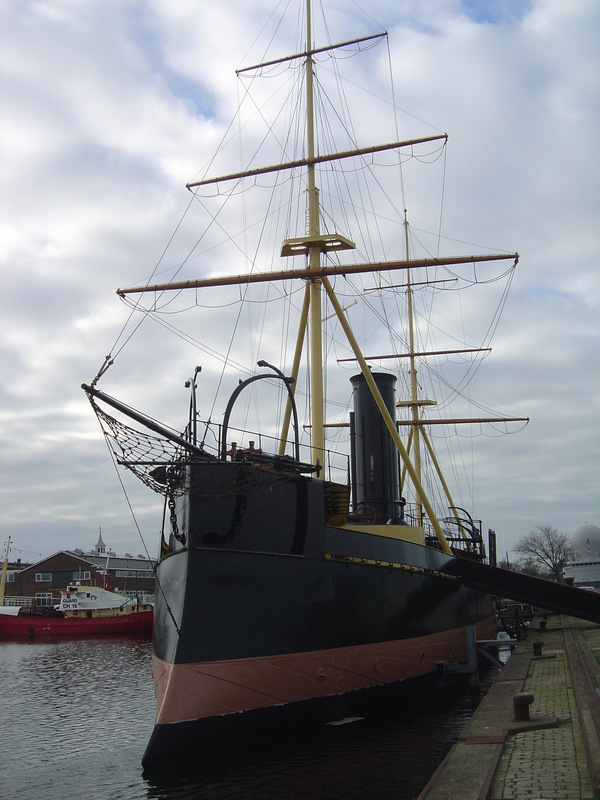 Preserved monitor/ram HNLMS Schorpioen, launched in France in 1868, used as an accommodation ship 1906–82 (including by German forces in the Second World War). Image by J. D. Davies.